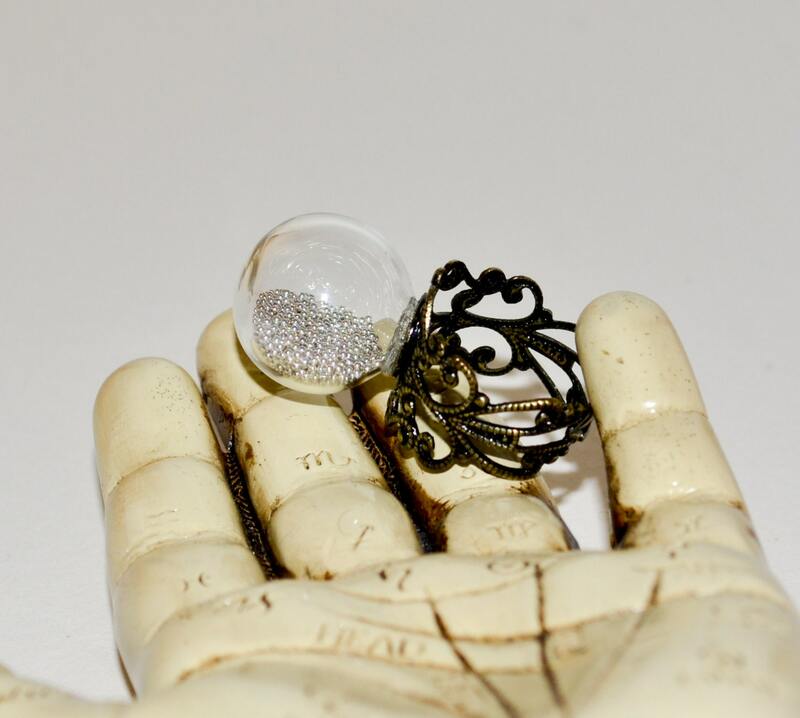 A lovely glass globe contains a multitude of tiny silver balls which move freely inside the globe. 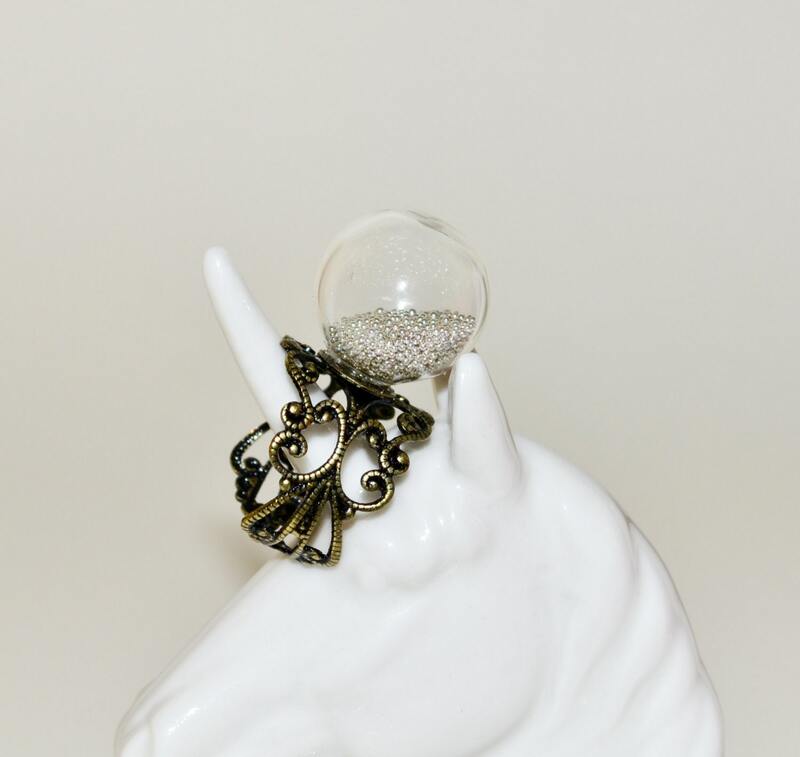 The glass ball is secured to a pretty vintage style antiqued bronze coloured filigree band. 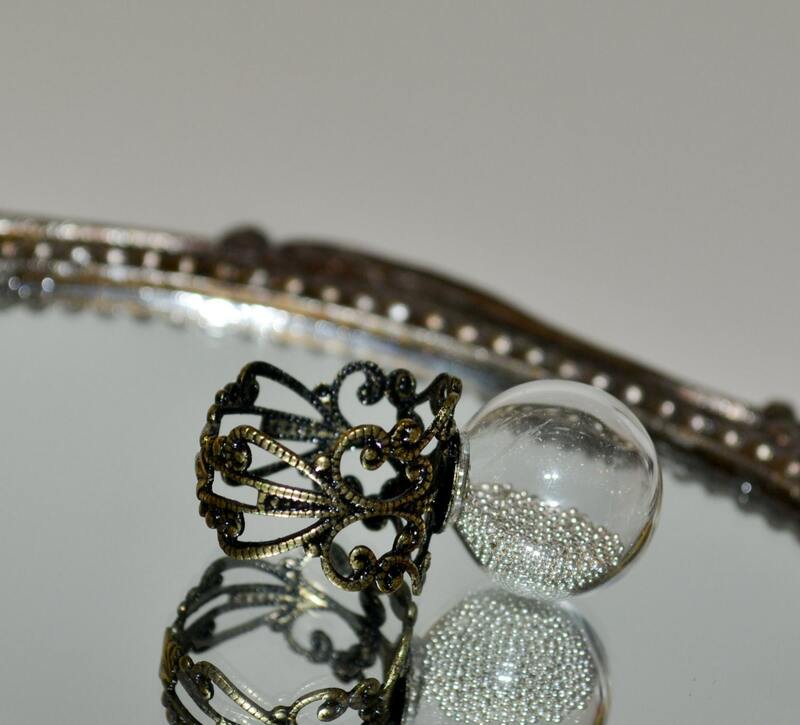 The glass globe is around 0.75"1.5cm in diameter. 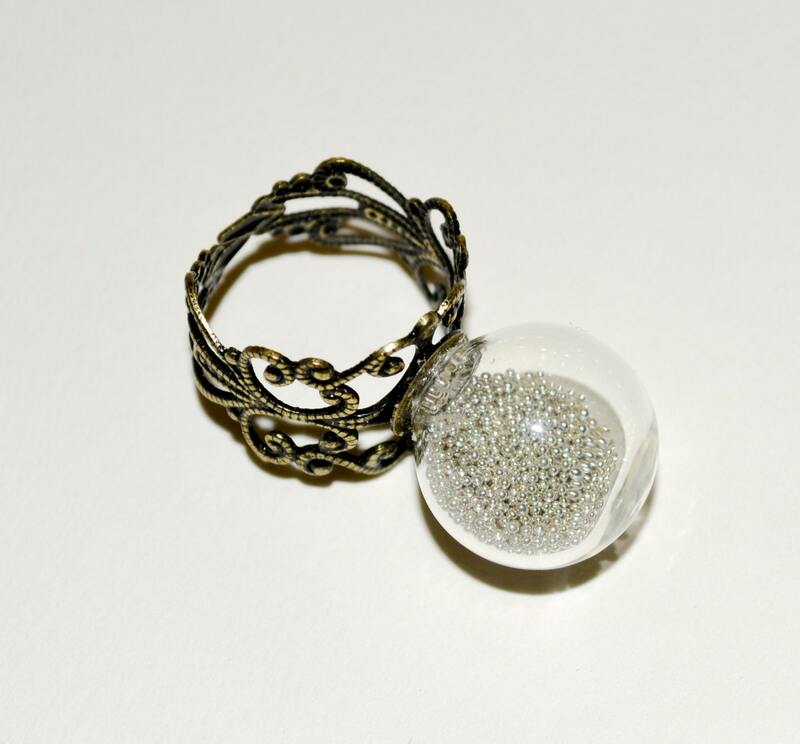 The ring setting is very lightweight and comfortable, and adjustable to suit most finger sizes. Your ring will be gift boxed. Please note - colours show slightly differently on different devices! 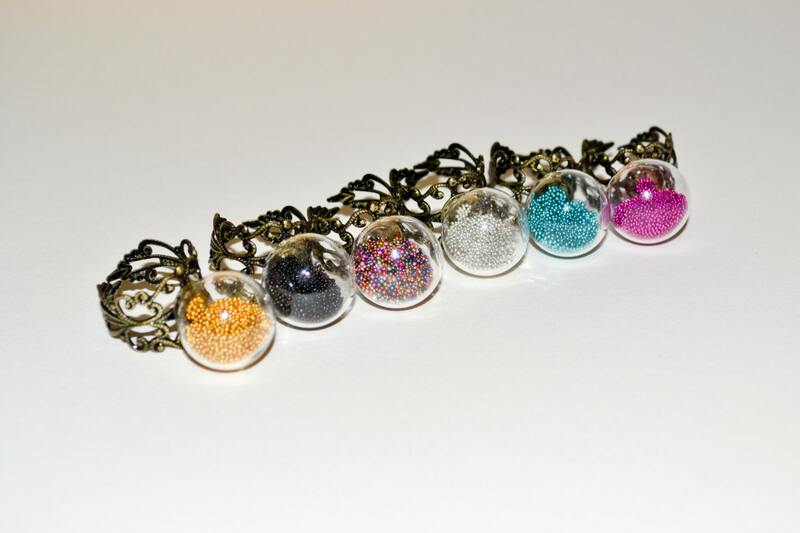 The miniature balls will be coloured as described.